For Jordan Wolfson's second solo exhibition at KÖNIG GALERIE he will debut his new video titled "Con Leche" (with milk). 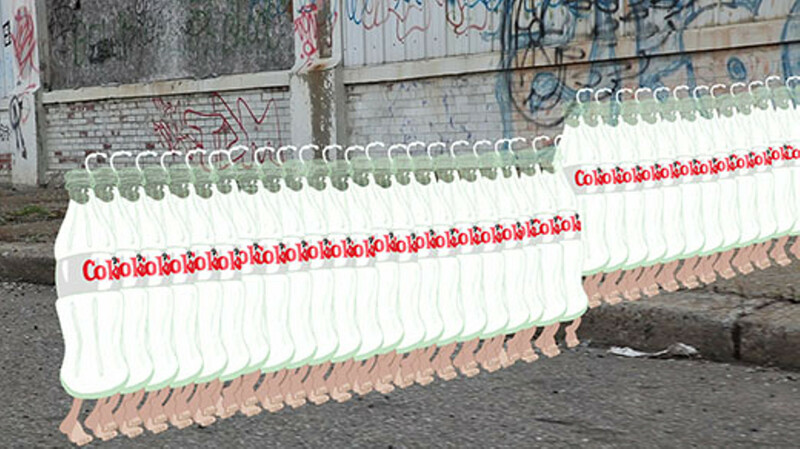 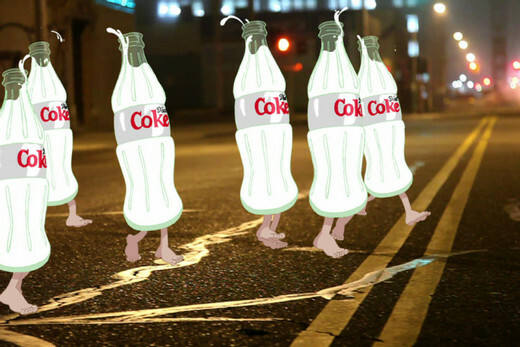 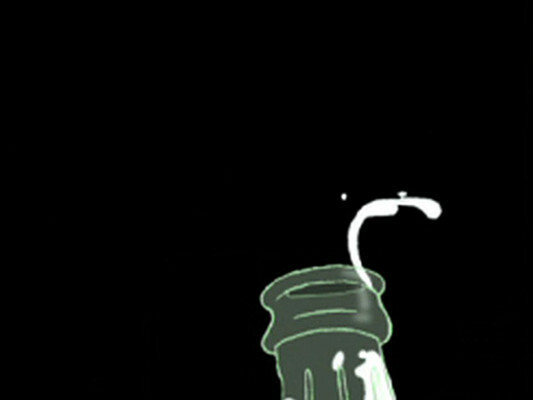 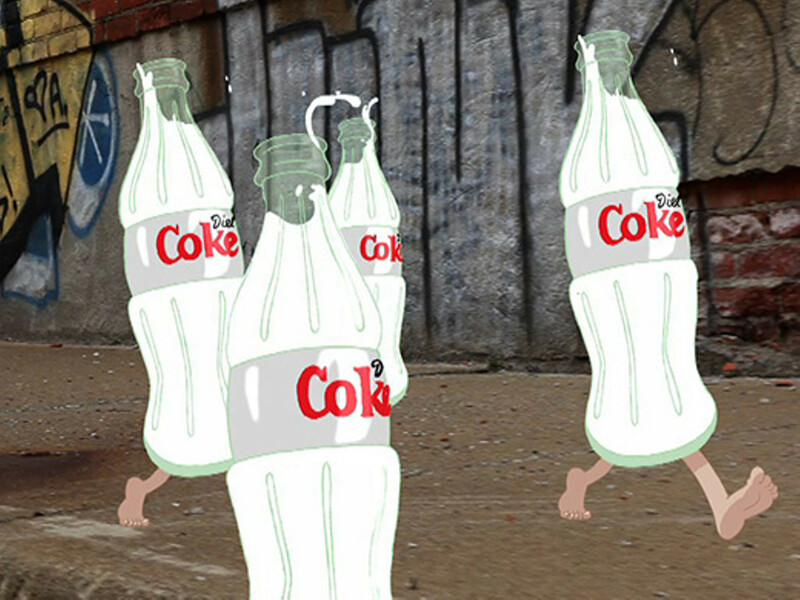 The title refers to the main subjects of the artwork: animated cartoon Diet Coke bottles filled up with milk. 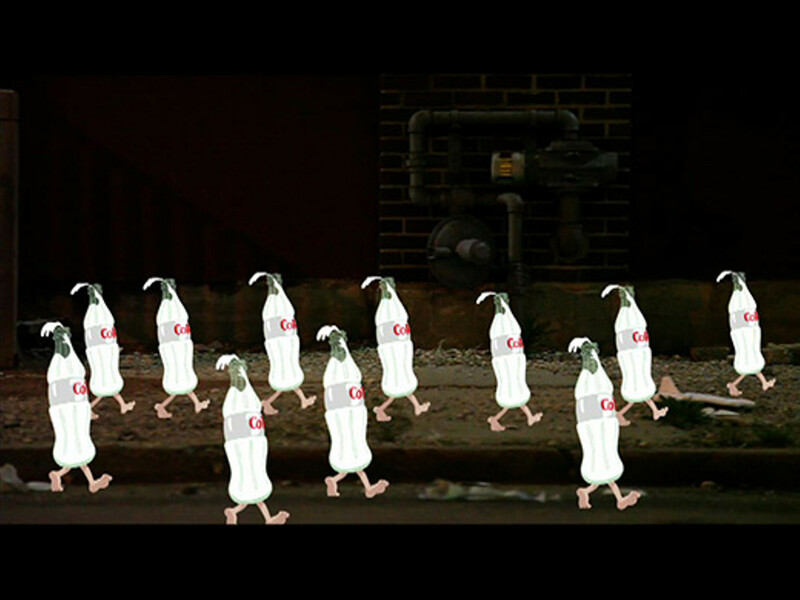 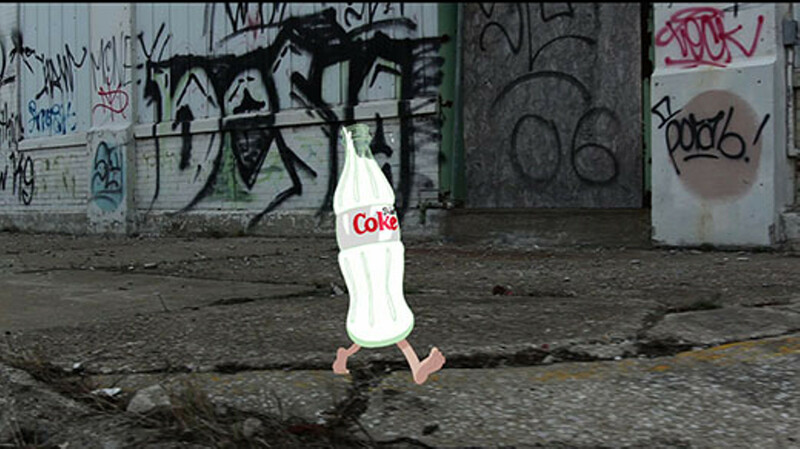 These characters walk through the desolate urban streets in real video sometimes in groups and sometimes alone. The image wobbles, flips and turns inside of the video frame.